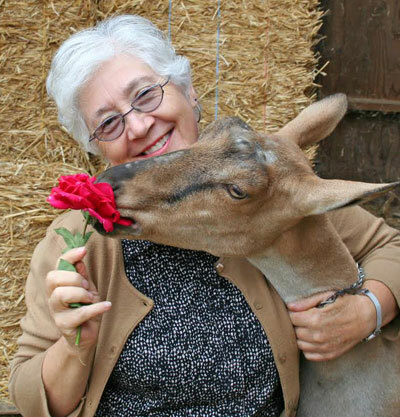 SANTA ROSA, Calif.—Jan 7, 2019—California’s premier cheese event, the California Artisan Cheese Festival, is pleased to announce the presenters for the Seminars to be held on Saturday, March 23, 2019. Cheese enthusiasts who attend this beloved weekend festival will have the opportunity to experience new, limited-production, and rare artisan cheeses all while learning about the art of cheesemaking from some of the industry’s most knowledgeable experts through a variety of interactive seminars. Instructors include prominent cheese writer and author of Planet Cheese Janet Fletcher; renowned cheese expert Juliana Uruburu; American Cheese Society (ACS) Certified Cheese Professionals® Vanessa Chang and Rachel Perez; Cheese Twins and Food Network celebrities Charlie and Michael Kalish; and co-founder of Culture Magazine, Lassa Skinner. Topics range from pairing cheese with various cocktails to unique ciders and beers, to the science behind cheesemaking, and how old school and new school cheesemakers continue to shape and innovate the Golden State’s cheese industry. A full list of seminar descriptions can be found at www.artisancheesefestival.com/seminars. Beyond the seminars, the two-day festival includes cheese tastings, pairings, farm and producer tours, and a culinary competition, all of which are held at various locations in Sonoma and Marin Counties March 23-24, 2019. Tickets for the various events range from $25 to $150 per person and are available for purchase now by visiting, www.artisancheesefestival.com. Participants include Achadinha Cheese Co., AppleGarden Farm, Bohemian Creamery, Cowgirl Creamery, Lagunitas Brewing Company, Marin French Cheese, Nicasio Valley Cheese, Old Possum Brewing, Orland Farmstead Creamery, Pedrozo Diary & Cheese, Pennyroyal Farm, Rumiano Cheese, Russian River Brewing Company, Seismic Brewing Co., Point Reyes Farmstead Cheese and The Fork, Tomales Farmstead Creamery, Two Rock Valley Goat Cheese, Valley Ford Cheese & Creamery, and Wm. Cofield Cheesemakers, among others. A full list of tour descriptions can be found at www.artisancheesefestival.com/tours. 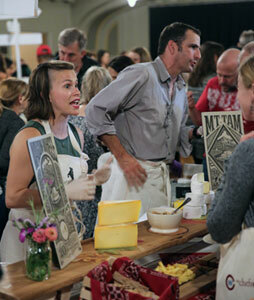 The early riser gets an amazing brunch and coveted advance entry into the Artisan Cheese Tasting and Marketplace. Enjoy a Sunday brunch celebrating cheese at every course while being entertained with a live cooking demonstration by Chefs and Owners Daniel Kedan and Marianna Gardenhire of Michelin Guide-awarded Backyard Restaurant in Forestville. Tickets include brunch, sparkling wine and early entry into the Artisan Cheese Tasting & Marketplace at 11 a.m. before opening to the public at 12 p.m.
admission, author book signings, the cherished Artisan Cheese Festival insulated cheese tote bag and a festival wine glass. Please note all ticket sales are final and all events will take place rain or shine. For more updates and details about the California Artisan Cheese Festival, or to purchase tickets, visit www.artisancheesefestival.com. Generous sponsors of the California Artisan Cheese Festival include American AgCredit, Beehive Cheese Company, Central Coast Creamery, Culture Magazine, Donald and Maureen Green Foundation, Ellipses Public Relations, Flamingo Conference Resort & Spa, Jackson Family Wines, John Boos, Lagunitas Brewing Company, Mike Hudson Distributing, Nicasio Valley Cheese Company, Oliver’s Markets, Pisenti & Brinker LLP, Point Reyes Farmstead Cheese Company, Pure Luxury Transportation, Real California Milk, Rumiano Cheese Company, Rustic Bakery, Seismic Brewing Company, Sierra Nevada Cheese Company, Sonoma County Tourism, Sonoma Jet Center, Tahoe Kitchen Co., Tomales Farmstead, and Visit Santa Rosa. A 501 (c)(3) non-profit organization, the California Artisan Cheese Festival strives to increase cheese appreciation, educate consumers about artisan cheeses, support the cheesemaking community and its sustainability and celebrate the creations of California’s many farmers and cheesemakers. The festival began in March 2007 as the first-ever, weekend-long celebration and exploration of handcrafted cheeses, foods, wines and beers from California and beyond. 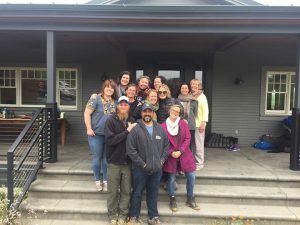 In keeping with its dedication to the community, the Artisan Cheese Festival has donated more than $120,000 in grants to local nonprofit partners that support local sustainable agriculture including the California Artisan Cheese Guild, Sonoma Land Trust, Marin Agricultural Land Trust (MALT), the Redwood Empire Food Bank and the Petaluma Chapter of the Future Farmers of America. For more information about the California Artisan Cheese Festival , visit www.artisancheesefestival.com or follow them on Facebook, Instagram and Twitter. Raise a glass to our award-winning Calfornia cheesemakers at this very special, exclusive afternoon on the farm! 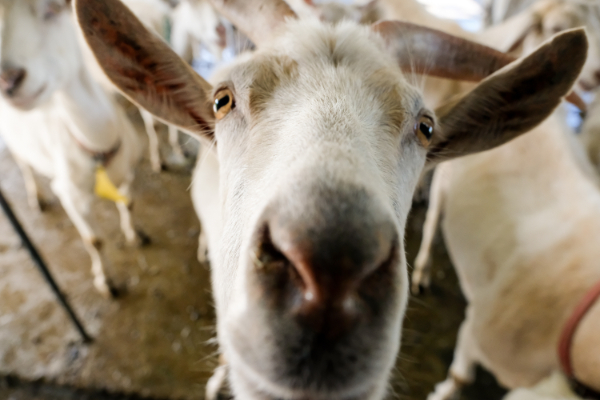 We’ll kick off the afternoon with a farm tour of the scenic Giacomini Dairy, home of Point Reyes Farmstead Cheese. You’ll meet the cows in their closed Holstein herd and learn about the history of the family, the farm, and agriculture in this beautiful region. 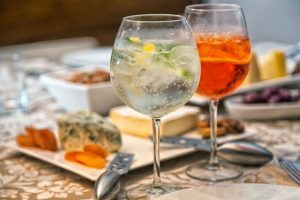 Following the tour, you’ll head inside to The Fork, the farm’s on-site culinary education center, for a fun and lively cheese and cocktails pairing session in collaboration with Griffo Distillery. Enjoy an intimate, focused cheese tasting full of the rich history and stories behind each as told by the cheesemakers and owners themselves alongside the original and classic cocktails that love them. You’ll meet the founders and artisans behind some of California’s most esteemed creameries including Beehive Cheese, Bivalve Dairy, Cowgirl Creamery, Cypress Grove, Nicasio Valley Cheese Company, Pedrozo Dairy & Cheese Co., Point Reyes Farmstead Cheese, Toluma Farms and Tomales Farmstead Creamery and Wm. Cofield Cheesemakers. The speakers will present their cheeses and provide insight on their company’s place in the American cheese renaissance and discuss why California has such a compelling cheesescape. Cheers to that! All ticket proceeds benefit the California Artisan Cheese Guild, a nonprofit organization dedicated to supporting artisan cheesemakers in the state of California.